A height-adjustable, active palm-rest houses both a thumb wheel and an action button for even more controls at your fingertips. 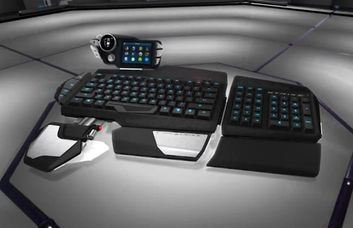 Both wrist rests utilize a rugged 5-pin connector to attach to the main keyboard module and NumPad, effectively enhancing your comfort during stints of extended gaming. Built for 21st century gaming, the V.7 embodies the true essence of the Cyborg range.